Just like humans, dogs also need to look and feel their best. However, they cannot do that on their own, so it is your responsibility as a dog owner to give your dog his basic grooming needs. If it is your first time to care for a dog, you need to learn how much grooming your dog needs so that you can keep it on a schedule. Your dog’s grooming needs actually depend on his breed and hair type. Fortunately for you, a dog does not need to bathe as often as you do. If you have a dog which has more hair, such as a Shih Tzu or a Poodle, you may need to provide extra grooming care. You can get advice from a veterinarian to know the basic grooming tips and make sure that you have the appropriate grooming tools that you can use at home. Bathing can be fun if you love the image of a wet dog running away from you and dripping water all over the house. Kidding aside, bathing a dog can be easy once he gets used to it. You just need to learn how to bathe your dog properly and make sure that he does not get stressed from the experience. You do not need to give your dog a bath every day. 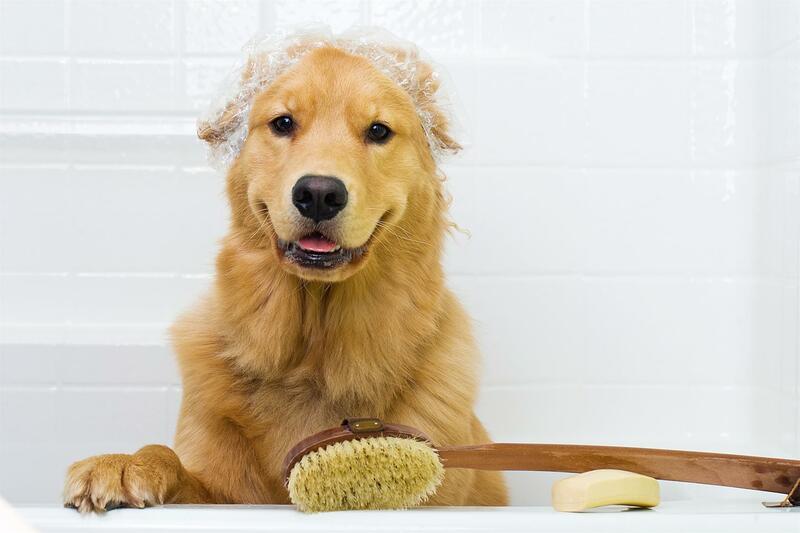 Some dog owners bathe their dog once a month, but if you want to do it more often, that is fine too. Just make sure that you use a soap-free shampoo that is intended for dogs so that you can keep your dog’s coat healthy and shiny. Dogs need to have their hair brushed to maintain a healthy coat. They also enjoy the experience as it allows you to bond with them by staying close. Different breeds of dogs have different hair types, so their brushing needs may also differ. Dogs with long hair usually require daily brushing to avoid matting and tangling of hair. Those with medium hair may also be prone to matting and tangling, but because of the difference in length, they can be brushed at least once a week. Dogs with short hair can be brushed every few weeks. But, if you have the time, you can brush your dog’s hair daily because regular brushing keeps a dog’s coat shiny and healthy. It can also help prevent hair buildup and excess shedding. If dogs love hair brushing, nail trimming is something that they do not like. They do not like having their paws handled and they are also aware that it can hurt if their nails are cut too short. When that happens, they can develop an aversion because they will associate nail trimming with pain. Most dog owners also do not like trimming their dog’s nails for fear of hurting their dogs. You can get some tips from a vet or a groomer and you need to practice and learn how to trim correctly so that you will not hurt your dog in the process. If you think that you cannot handle it, you can hire a professional to do it for you, just to be on the safe side. It is a good thing that you do not have to leave the comforts of your home just to have your dog’s nail trimmed. There is a professional pet grooming service in self-contained vehicles that can go to your house to take care of your dog’s grooming needs. It is like a home service spa, but for dogs. A great example is a company called Mobile Dog Grooming, which offers nail trimming services, as well as a variety of other grooming services. Frequency of haircuts also depends on the breed of your dog. Dogs with long hair need to have their hair cut every two to four weeks, depending on the breed and the style of the cut. There are some owners who learn basic maintenance cuts, but it is best to leave this to professional groomers so as not to mess up your dog’s coat. You need to keep your dog’s ears clean to prevent the growth of bacteria and yeast. You can do the routine ear cleaning after you give your dog a bath so that it will be easier for you. However, depending on your dog’s breed and ear structure, there might be a need to clean his ears more often. For instance, if your dog has floppy ears or long hair which covers his ears, he can be more prone to ear problems because his ear canal does not have enough air exposure.